If you are a regular follower you know that as a family we are going Gluten free with the hope of adjusting some physical and behavioral issues. the biggest struggled we have faced is finding a healthy snack that the kids would eat. When I was approached to try Bare Fruit Bake-Dried Apples I crossed my fingers and hoped that they would be a hit in our house. We received a bag of the cinnamon apples to review and I was the first to try them. 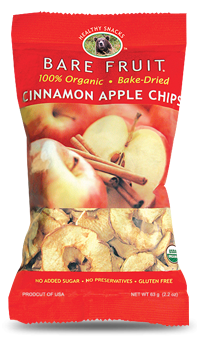 I was really impressed by how much apple taste was in them and better yet they were not only Organic but they were The dried apples I had tried in the past had either lacked flavor or texture when eating them. The kids were a little hesitant to try them as they are with all new things, but one brave child after another they started to snack and before long they were A HIT! They last week has been great knowing that not only were my kids eating a snack but a snack that was good for them. Bare Fruit Snacks makes 3 varieties of Apple Chips in both organic and All-natural, but they also make dried apricots, mangoes, and pears. I can't wait to try them all on our path to a health gluten free life! Make sure you check out Bare Fruit Snacks on Facebook and Twitter. Bare Fruit is also offering a giveaway to my fans just click HERE to enter. Make sure you are a fan of Bare Fruit and Something Like Life on Facebook. 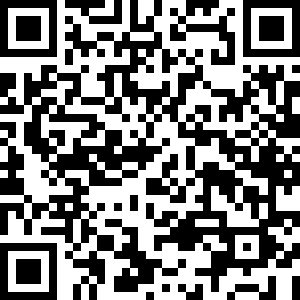 You can also scan this tag to have direct access to the app to enter. I have been trying to find these because I have heard so many good things about them. I think I might have to order them. I love gluten free food that tastes good! These sound yummy! I only buy my daughter all natural snacks in hopes that it will transition us into healthier eating. I, going to have to give these a try. I understand your struggle trying to find good tasting gluten-free food. It sounds like these apples did the trick! Good luck on your gluten-free journey! This snack looks yummy and healthy and looks like something my baby can eat. We love these and my nephew who is 4 likes this a lot.